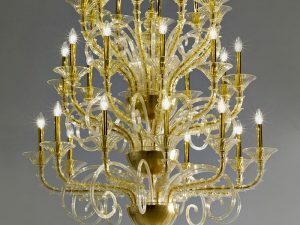 In traditional Murano chandelier, an original and authentic dimension, representing the style of the Venetian tradition recreated using ancient techniques in order to relive the excitement of the object illuminated by the light for which it was created. 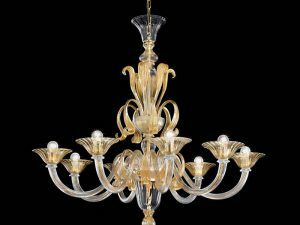 At the same time, the use of LED lights allows everyday use also illuminating the chandelier from the inside, which emphasizes its decorative value. 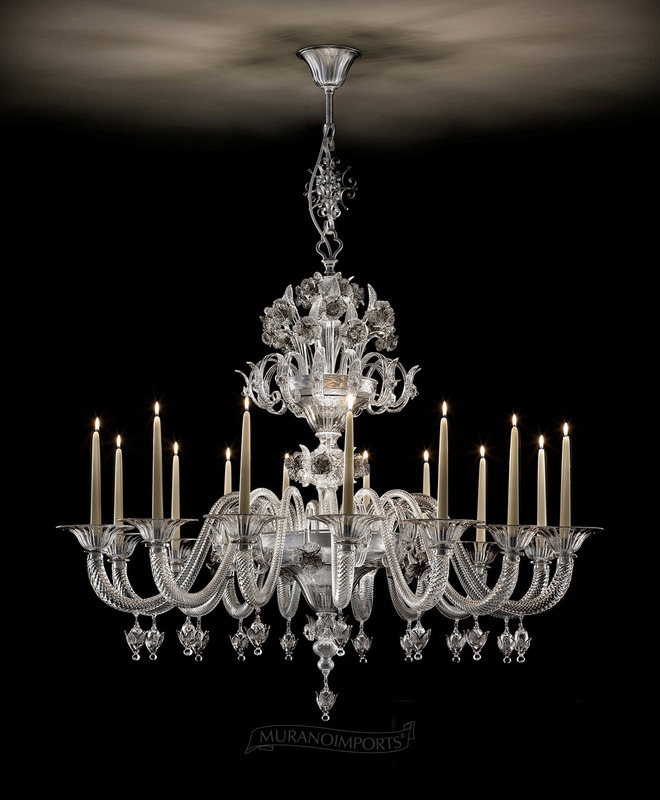 Seductive and functional, but elegant and refined with the only shades of gray and clear, adds a touch of class to any environment that dares to stand out and surprise with unique interior design solutions of pure style. 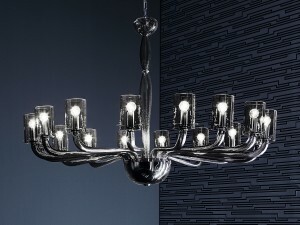 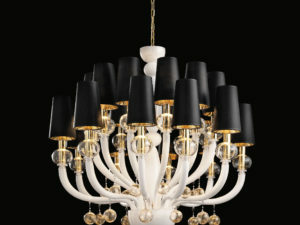 This chandelier is also available in custom size, custom Murano glass color, and custom metal finish upon your request. 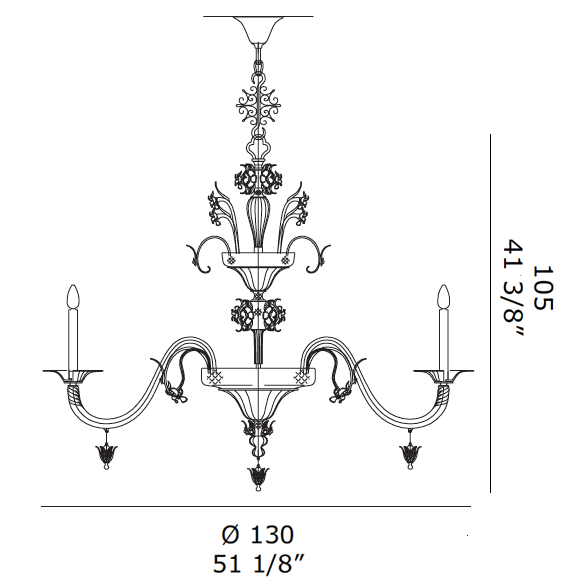 Please reply with specified request by email listed on the Contact Us page.